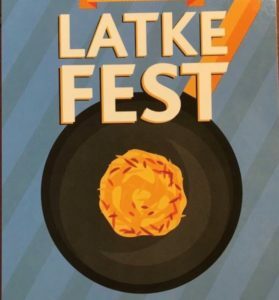 Our second annual Latke Fest! It is that time of year again when we warm the house with traditional Chanukah foods! Say “Happy Chanukah” to your friends and family at B’nai Jacob by cooking up a batch of your favorite Latkes to share with our community or by simply joining us for great Chanukah food. No fee. Bring Latkes, other foods or drinks, or just a big appetite. Our restaurant quality kitchen will be available for cooking.